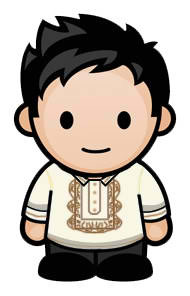 Filipino Bloggers Worldwide Group is an active group with more than 3,000 members and counting. After the Best Travel Blog and Logo Design Contest, it is time to vote for the Top 10 Best FBW Blogs. Criteria and standards should be duly noted, we are at a point wherein blogging is not just simply blogging but a form of media and even though we are in the internet, netiquette should be observed. 1. Nominees should be FBW members only. You can nominate as many as you want including yourself. 2. Nominated blogs must be at least 12 months old and should have no less than 20 blog post since its creation. 3. Nomination is open until November 2104, and we will select the top 20. 4. Then I will put it to a vote to rank the TOP 10. 5. 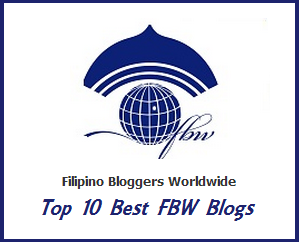 The winners will be the "Top 10 Best FBW Blogs of 2014." Please nominate your favorite blogs (any niche) in the comment box and the reason why. If you think your blog should be included on the list, feel free to nominate yourself. So who are your choice for the top blogs? This is exciting. I will try to come up with my own list, maybe next week. Ah, I will make my own choice too.